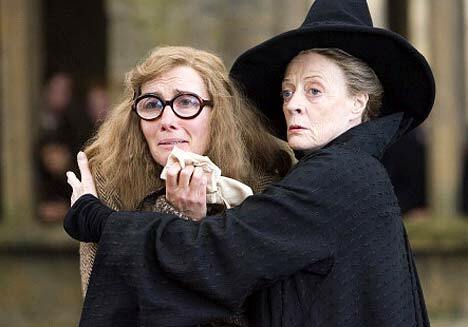 Dame Maggie Smith has declared the show must go on after being diagnosed with breast cancer. According to reports, the double Oscar-winning actress has had a tumour removed and has also completed a course of chemotherapy. Friends described her as "typically brave and understated". One added: "The last thing she wants to do is to make a fuss about it." She is due to begin work on Julian Fellowes's film From Time To Time, an adaptation of Lucy M Boston's book The Children Of Green Knowe. Filming has been delayed, however, by several weeks to allow for her recovery. A spokesman for Mr Fellowes said he expected to begin filming "within the next few weeks" but no specific date has been set. Dame Maggie is regarded as one of the country's pre-eminent actresses, with a prolific stage and screen career spanning 50 years. She won her first Oscar in 1969 for her portrayal of a Scottish schoolmistress in The Prime Of Miss Jean Brodie. Her second, for best supporting actress, came in 1978 for California Suite. She was nominated for a third Academy Award for her snobbish turn as the Countess of Trentham in the 2001 film Gosford Park. She has also won five Baftas. She won a Theatregoers' Choice award last month after her return to the West End stage in The Lady From Dubuque. Among her many other notable roles was Charlotte Bartlett in the Merchant-Ivory film A Room With A View, co-starring Helena Bonham Carter, for which she won a Golden Globe award. Dame Maggie married fellow actor Robert Stephens in 1967 and they have two sons, who are both actors. The younger, Toby Stephens, 38, played a villain in the James Bond film Die Another Day. Sir Robert and Dame Maggie divorced in 1974 and she married playwright Beverley Cross in 1975. At the time of his death ten years ago she was appearing in A Delicate Balance at the Theatre Royal, Haymarket, but continued in the role until the end of the run. She once said in the past: "It's true I don't tolerate fools, but then they don't tolerate me, so I am spiky. 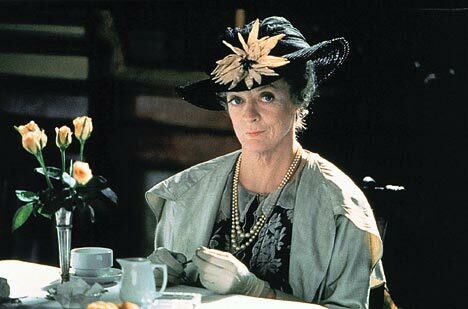 Maybe that's why I'm quite good at playing spiky elderly ladies." That's a shame. I hope she recovers well. I don't think her cancer has a chance! This is one strong woman & good for her! hope everything goes okay for her, she comes across as a fighter. excellent actress. She's great. I saw her perform live here a couple of years ago in Alan Bennet's "Talking Heads" as the drunk vicar's wife. Fantastic. If anyone can beat this she can. Great lady, wonderful performer. Cancer doesn't stand a chance. I like her. I hope she can pull through this. That's so sad to hear. She's one of my favourite actresses, I really like her. Get well soon Maggie! One of the greatest actresses in the English language. I wish her all the best in her recovery. Oh, she is a wonder actor. I hope she recover soon. Wow, I wish her all the best. She's an incredibly talented woman. Ugh. I hate you, Cancer. I really do. Best wishes for a full recovery, Dame Maggie.